The writer Inga Žolude was born in 1984 and received a master’s degree in English from the University of Latvia. She has studied an English literature at Southern Illinois University through the Fulbright Program. 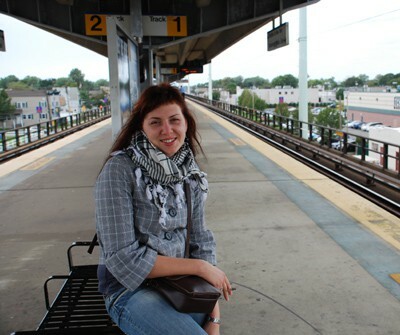 She is currently in process of completing hers PhD in literary studies at the University of Latvia. Inga Žolude has published works in various periodicals, and her debut novel Silta zeme (Warm Earth) was published in 2008. Writer’s second novel Sarkanie bērni (Red Children, 2012) has won the annual prize of the Writer’s Union of Latvia and philanthropist and entrepreneur Raimonds Gerkens’ year 2011 novel contest prize. Her stories and excerpts from novel Warm Earth have been translated and published in anthologies in English, German, French, Swedish, Polish, Lithuanian, Hungarian, Czech and other languages. A full translation of Warm Earth soon will be completed and there are conversations about publishing this novel into English. Inga Žolude is a winner of the European Uninion Prize for Literature 2011 for hers short story collection Mierinājums Ādama kokam (A Solace for Adam’s Tree, 2010). This collection is going to be translated in Hungarian, Czech and Bulgarian. Žolude’s third novel Santa Biblia was published in 2013. She regularly reviews works by Latvian and international writers. She has also translated poetry by Philip Larkin and Robert Crawford, among others. She has taken part in many literary and cultural projects and has received several grants, including the Nordic Council of Ministers’ Baltic Sleipnir Grant.